Our reporting on a global level includes the different regions, elements like employment types or employment contracts will be considered in the local environment. We do not have one document describing our complete supply chain. Common processes for procurement and contractor management are in place. Different teams are addressing strategy development, contractor management, specific business needs, performance management, HSSE and Social Performance, local content and communications. We strive to maintain healthy relations with our employees. Dialogue between management and employees is integral to our work practices and takes place directly and, where appropriate, through employee representative bodies. 100% of countries (Shell operations) have access to to staff forum, grievance procedures or other support systems. We regard accumulating numbers for this topic on a global level as not meaningful. Communities – we hold community meetings and engage with advisory panels with local advisors througout project life cycles. Suppliers & Contractors – we engage with suppliers and contractors regularly to ensure they can meet our expectations and requirements with regard to health, safety, social, security and environmental issues. Governments – we engage with them as required by specific projects or operations. Non-Governmental Organizations – We have long-term relationships with several NGOs to work on specific areas, and meet as required by projects at hand. We engage with NGOs in the locations where we operate and co-operate on local initiatives as often as needed. The annual Shell People Survey is one of the principle tools used to measure employees’ views on a range of topics. Report Review Panel: The panel provided input as part of our content selection process and reviewed the report in-depth before preparing their statement focusing on the quality of the report. The panel met to discuss Shell’s reporting, question Shell experts and prepare their statement. About this report, Report Review Panel/opinion explain how stakeholders’ opinions are incorporated into our reporting. We take material topics to mean aspects that are significant from a stakeholder perspective, as explained in our Sustainability Report. No significant restatements were made in the applicable reporting year. It is possible to compare our current report with previous reports to view the changes in our reporting over the years. We continue to report on an operational basis. As of 2016, we make mandatory disclosures under the Reports on Payments to Governments Regulations 2014, and we file our Payments to Governments Report with the UK’s Companies House. The report covering calendar year 2018 has been published on www.shell.com/payments. We consider this indicator significant as described in the oil and gas sector disclosure guidance notes. We engage with communities to identify how we can avoid, minimise or mitigate negative impacts. We use various different methods for continuous review and imrpovement of our aprpoaches. We report on the amount of crude oil and other oil products used in our refining processes (Downstream). We do not group or add all the numbers of inputs and materials that are bought in our worldwide operations. Our assurance statements are available at our website. As water is managed as an issue on a local level, we do not report on water withdrawal by source on a Group level. The direct (Scope 1) emissions come from the facilities under the operational control or the equity boundary. Our assurance statements are available at our webpage. The energy indirect (Scope 2) emissions come from the facilities of others that provide electricity or heat and steam to our operations. Scope 3 emissions are those emissions that we estimate come from the use of our refinery and natural gas products as reported in the Annual Report. Emissions intensity is a measure of the amount of GHG produced for each unit of oil or gas produced by our upstream operations or crude and feedstock refined by the downstream facilities where we have operational control. It is the total amount of GHGs emitted (direct and energy indirect) per unit of output or throughput. The reductions are not broken down by type of GHG or initiative. We report the amount of gas lost to the atmosphere. It is reported in terms of mass of the actual gas. This is not broken down by business sector, because we report our performance for the entire group. We report separately on (1) hazardous and (2) nonhazardous waste. We do not report on all the disposal methods of all our different waste flows on a group level. Individual installations will have their own expanded waste metrics and targets, some derived from government permits for regional and local impacts. We are subject to a variety of environmental laws, regulations and reporting requirements in the countries where we operate. Infringing any of these laws, regulations and requirements could result in significant costs, including clean-up costs, fines, sanctions and third-party claims, as well as harm our reputation and our ability to do business. Our ongoing operating expenses include the costs of avoiding unauthorised discharges into the air, water, and soil, and the safe disposal and handling of waste. Supplier environmental assessments are part of our general supplier assessment approach. 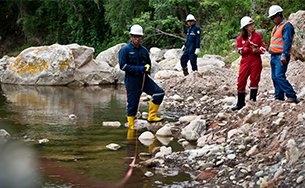 Supplier environmental assessments are part of our general supplier assessment approach. All our suppliers must comply with the Shell Supplier principles, but assessment against specific criteria is based on identified risk. At December 31, 2018, there were 81,000 Shell employees, compared with 83,000 at December 31, 2017, and 91,000 at December 31, 2016. The reduction in 2018 was driven by portfolio activities and our continued effort to improve operational efficiency and to reduce costs. These changes were partly offset by the insourcing of specific skill sets into the organisation (predominantly in IT) and other external recruitment to build our talent pipeline. We continue to leverage and expand capabilities to ensure a sustainable talent pool. Part-time and full-time employees have the same benefits, though these may vary based on country regulations. We do not report workforce participation in health and safety dialogues. We do not describe systems for tracking workforce (numbers and names) on site. Not broken down by region, gender or type of injury. The information is subject to specific confidentiality constraints – for many of the elements of this indicator (different laws apply in different countries). We study and analyse this but do not publish this. As part of our HSSE Control Framework we take an integral approach to health and safety. We work relentlessly to strengthen our safety culture, focusing on caring for people and leadership commitment. A strong safety culture is complemented by a skilled workforce. We ensure that people responsible for tasks involving a significant safety hazard have the necessary training and skills. Our safety experts work in networks to share and implement best practices around the world. We employ a large number of contractors who often perform activities with high safety risks. We work with our contractors to ensure they understand our safety requirements and we help them build skills and expertise to improve their safety performance where needed. Good working and living conditions help to bring about a safer and more productive working environment. Our approach to worker welfare means supporting the needs of the individual worker, many of whom are contractors, their relationship with their family and connections with colleagues. We aim to provide a home away from home for people by delivering a standard of accommodation and facilities that supports their quality of life and wellbeing. Employee training is very important to us. We provide equal opportunity in recruitment, career development, promotion, training and rewards for all our people, including those with disabilities. In 2018, we provided 315, 000 training days for employees and joint-venture partners. We focused on growing our leadership capability, improving skills in technical, safety and commercial areas, and increasing our expertise in specialist areas such as cultural heritage and indigenous peoples. Diversity is not reported by age group or minority group, as this is proprietary information. We report diversity data on the composition of our Board of Directors and the Board Committees. We also provide information on employees by gender and nationality in senior leadership positions. Data on minority employees are not aggregated globally, as this is defined locally and legislation in some countries prohibit requesting race/ethnicity data. The data on disabled employees are not collected or aggregated as this depends on local legislation on disability recording and also individual wishes for declaration. In some countries, disclosure of these data is not permitted. All our suppliers must comply with the Shell Supplier principles, but assessment against specific criteria is based on perceived risk. All Shell companies and Shell-operated joint ventures must comply with local legislation and regulations, and must conduct their activities in line with the Shell General Business Principles and our core values of honesty, integrity and respect for people. We also encourage joint ventures we do not operate to apply materially equivalent business principles. Respect for human rights is embedded in our Business Principles and in our Code of Conduct. Our approach is informed by the Universal Declaration of Human Rights, the core conventions of the International Labour Organisation and the United Nations’ Guiding Principles on Business and Human Rights. 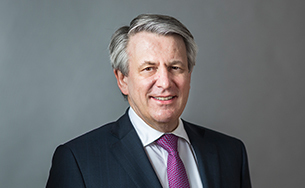 We have a Global Helpline in place for all employees and contract staff in Shell and for third parties with whom Shell has a business relationship (such as customers, suppliers, agents) to raise concerns and report instances of potential non-compliance with our values and principles, in full confidence and without fear of retaliation. Respect for human rights and provision of remedy for potential non-compliance are ways in which we uphold our Business Principles. Shell’s framework of policies and manuals covers Human Rights. In practice we assess potential impacts on human rights using Environmental, Social, and Health Impact Assessments – which may include specialist topics such as cultural heritage, social livelihoods, security assessments, social performance plans, grievance mechanisms, and contracting and procurement procedures. This is not reported by percentage of operations. However, all the relevant systems, processes, and tools apply where it is understood there may be a potential impact. All our employees and contractors follow mandatory training on Shell’s Code of Conduct. We do not record the number of hours used for this specifically. – such as online modules, regional workshops, onsite training delivered by independent third parties, and train the trainer sessions – to both our own staff and our security providers. Respect for human rights is embedded in our Business Principles and in our Code of Conduct. We have a Global Helpline in place for all employees and contract staff in Shell and for third parties with whom Shell has a business relationship (such as customers, suppliers, agents) to raise concerns and report instances of potential non-compliance with our values and principles, in full confidence and without fear of retaliation. Language on the VPs and the Shell Group requirements on the Use of Force are included in our private security contracts. A major cause of forced labour in global supply chains is the charging of recruitment fees and related costs from migrant workers. In 2018, we reviewed our supplier principles statements and found there was an opportunity to include the explicit prohibition of such fees, sending an unequivocal message about our expectation to suppliers. Certain areas of our supply chain may pose a higher risk to labour rights due to their location and the nature of the goods and services we procure. In these cases, we use a defined set of criteria to identify potential supply-chain risks and, where we see risk, we ask suppliers to undertake due diligence studies before considering awarding a contract. Our approach is to prevent infringements of rights through engagement with affected stakeholders, compliance with local laws and Shell standards, and training for staff. Certain areas of our supply chain may pose a higher risk to labour rights due to their location and the nature of the goods and services we procure. We use a defined set of criteria to identify potential supply chain risks and, where we see risk, we ask suppliers and contractors to respond to our due diligence assessments before awarding a contract. This assessment requires our suppliers and contractors to declare whether they have a process in place to assess and manage social risks with their own suppliers. If gaps are identified, we may work with suppliers and contractors to help them understand how to close these gaps, implement corrective action – which may include on-site audits from Shell – or we may consider terminating the contract. Language on the VPs and the Shell Group requirements on the Use of Force are included in our private security contracts. A major cause of forced labour in global supply chains is the charging of recruitment fees and related costs from migrant workers. In 2018, we reviewed our supplier principles statements and found there was an opportunity to include the explicit prohibition of such fees, sending an unequivocal message about our expectation to suppliers. We have implemented community feedback mechanisms at all of our operations and projects to receive, track and respond to questions and complaints from community members. This enables us to capture and resolve concerns quickly in a transparent way, and to track our performance. We report on this on a significant example basis. The Shell General Business Principles state our insistence on honesty, integrity and fairness in all aspects of our business. The direct or indirect offer, payment, solicitation or acceptance of bribes is unacceptable. UN Global Compact Principle 10: Businesses should work against corruption in all its forms, including extortion and bribery. In line with this principle, Shell maintains a global Anti-bribery and Corruption (ABC) programme that includes elements designed to prevent or detect and remediate potential violations. The programme begins with our anti-bribery commitment, an integral part of the Shell General Business Principles. Our policy is clear: we do not tolerate the direct or indirect offer, payment, solicitation or acceptance of bribes in any form. Facilitation payments are also prohibited. Our Code of Conduct includes specific instructions to staff, such as requirements to avoid or declare potential conflicts of interest, and others that concern the offer or acceptance of gifts and hospitality. Communications from leaders include messages about these commitments and the associated requirements. These are reinforced with both global and targeted communications, to ensure that staff are frequently reminded of their obligations. In addition to the Code of Conduct, we have established mandatory anti-bribery procedures and controls applicable to all Shell Businesses and Functions, throughout their operations. The procedures and controls are designed to address a range of corruption related risks and to focus resources and attention in the areas of higher risk. We regularly review and revise these procedures, controls and risk criteria to ensure they remain up-to-date with applicable laws, regulations and best practices. Our programme reviews also take into account results from relevant internal audits, reviews and investigations. As part of our approach to ethics & compliance training, we take action to ensure that our anti-corruption policies, standards, and procedures are communicated to all directors, officers, employees, and, where necessary and appropriate, to agents and business partners. Particular areas of focus with third parties include continued strengthening of due diligence procedures, and clearly articulated requirements (for example through the use of standard contract clauses). We report on Code of Conduct violations. These are not necessarily all incidents of corruption. Compliance is an aspect of our policy and operations, rather than a material topic in its own right. This is not reported on a Group level. In 2016, we created our New Energies business, which invests in low-carbon energy such as biofuels, hydrogen, wind and solar power. However, we are not reporting in categories as suggested by GRI. 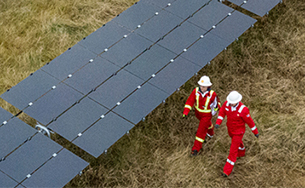 The New Energies business is part of our Integrated Gas business. Overall, the amount of renewable energy that we are generating is not material. Information about our current production is available in our sustainability report. We do not calculate percentages as this is not meaningful in the context of the number of our sites. Reporting on this matter is done in accordance with local regulations. We are producing a wide range of products and selling them in many countries. We regard grouping numbers on a global level as not meaningful. We do not consider the number of sites material. The definition of ‘site’ can vary. Our processes for embedding sustainability into our projects also apply to decommissioning and restoration, as well as for new projects.